Hillary Clinton Launches Girls Soccer Initiative. Snippets of seven different languages and more than a dozen soccer balls flew across the expansive field of the Players Development Academy in Zarephath, N.J., last Thursday evening. Two Pakistani girls giggled over a joke in Arabic before turning to their partners, a pair of American teenagers from a local development team, to warm up with sharp push passes. Soon, the three dozen players turned to a more showy routine, competing in teams to see who could execute the most consecutive headers. An unlikely duo, a six-foot blonde and a stout South African, won the drill, thanks to the South African’s frequent grassy layouts. As the girls began to scrimmage, the camaraderie and setting sun nearly masked the skill in the game. Yet the field boasted a handful of the most elite emerging soccer players from the developing world. Robyn Moodaly, a diminutive 16-year-old from Johannesburg, is the youngest player on South Africa’s national team. Abiha Haider, 15, has been a striker on Pakistan’s national team since its formation in 2007, when she was just 11 years old and spent her afternoons chasing after the neighborhood boys on Islamabad’s dirt-covered fields. Honey Thaljieh, the fiercely patriotic 26-year-old leader of the Palestinian national team who turned to coaching after a spate of injuries, is recognized as the first professional female soccer player in the Palestinian Territories. 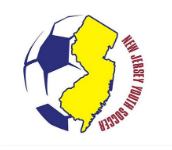 These 18 girls and six coaches, hailing from Bolivia, Germany, Malaysia, Pakistan, the Palestinian Territories and South Africa, are in New Jersey as part of a State Department program launched Monday by Secretary of State Hillary Clinton. Called the Women’s World Cup Initiative, the exchange seeks to marry international diplomacy with women’s empowerment, drawing inspiration from this summer’s tournament and the 40th anniversary of Title IX. This initiative is far from the first time that sports have been used as a diplomatic tool. The Olympics are often wielded to influence international affairs, with the global community canceling the Games during periods of intense global strife, such as in 1916 or 1940, or barring the participation of bellicose countries, as happened to Germany multiple times during the first half of the 20th century. More recently, the 1980 boycott of the Moscow Games served as a warning to the Soviet Union following its invasion of Afghanistan. Sweat can also seal international peace pacts. Rivals India and Pakistan have used "cricket diplomacy" on multiple occasions, most notably in 1978, when the two countries broke the political tension after the 1965 Indo-Pakistani war and the 1971 Bangladesh war with a series of three cricket matches in Pakistan. But unlike cricket diplomacy, here Secretary Clinton banks on the power of youth, girls and soccer, working to spread pro-American and pro-woman sentiment at the literal grassroots level. The initiative will include exchange trip for girls and young women, U.S.-run soccer clinics abroad and sports management training programs. 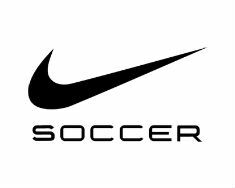 In the U.S., soccer is one of the most popular youth sports and the fifth most popular high school sport, with more than 350,000 athletes competing during the 2009-2010 school year. In most other corners of the world, "futbol" is even far more popular and the barriers to entry exceptionally low, making the sport an attractive choice for the State Department. "As long as you’ve got girls and a ball you can play it," said Assistant Secretary of State for Education and Cultural Affairs Ann Stock, one of the leaders of the initiative. In addition to the health and happiness benefits of the game, Stock touts the experience as a way to equalize the playing field down the line. "It shows girls at a very young age how to be part of a team and work together, which directly translates later in life to being a team player in school, in a job or in a marriage," said Stock. Of course, even in the United States, women’s soccer is not yet the epitome of equality, despite the substantial gains made by Title IX. Though soccer remains one of the most widely played youth sports, but few opportunities exist for women -- or men, for that matter -- at the elite level. The fledgling Women’s Professional Soccer league, the reincarnation of the Women’s United Soccer Association, which folded in 2003, struggles to stay afloat financially despite filling its rosters with Olympic and World Cup medalists. On Thursday, when one of the exchange girls asked Glenn Crooks, the local development team’s coach and head coach at Rutgers, if women players in the United States got paid for playing, he replied proudly, "They can." But many female professional soccer players earn so little that they save money by living with host families during the season, a practice that imitates low-level minor-league baseball players. A host family is minor inconvenience, however, compared to some of the cultural barriers that can exist for aspiring female athletes around the world, a reality Clinton hopes her initiative will shift. Linda Hamilton, a former member of the U.S. national team that won the World Cup in 1991, has traveled to the Philippines, the Ivory Coast and soon to Brazil on State Department-sponsored soccer training trips. Through her travels, she has seen firsthand how sports can serve as the front lines of broader gender wars. "In the Ivory Coast, they [the girls] asked a lot very personal questions," Hamilton said. "They asked if I was married, if I had kids, if girls that play soccer in the U.S. are considered homosexuals … 'Boys won’t have girls that play soccer as their girlfriends,' they said. So they were fighting that gender battle in some ways." In Islamabad, the capital of Pakistan, Abiha Haider said she has experienced little direct opposition to her training. Still, she is careful to don the appropriate three-quarter-length pants, such as the red, shin-length ones she wore on Thursday, and high knee socks to keep her legs covered. In the villages, she said that tribal conflicts and gendered assumptions about sports keep more potential athletes shuttered inside. "In the villages, they don’t think football is good for the girls," said Haider. "Sometimes it’s like, 'Oh my God, girls are on the ground.'" Thaljieh confronted far more resistance when she kept playing soccer in the streets of Bethlehem past her girlhood. "It was very difficult to begin with. People were talking about my family; my parents were pushing for me to stop," said Thaljieh. She kept playing, helping found a scrappy national team in 2004 and finally expanding the women’s field into a full-fledged league with about a dozen indoor squads and half a dozen outdoor, 11-on-11 teams. The national team’s first international home game in 2009 against Jordan drew 16,000 fans—10,000 of them women. In the spirit of Clinton’s initiative, Thaljieh sees soccer as a way for the Palestinians to establish bonds with the international community.